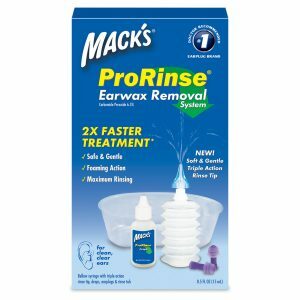 Looking for a mask that is not only comfortable but also blocks all the light for a good night sleep? 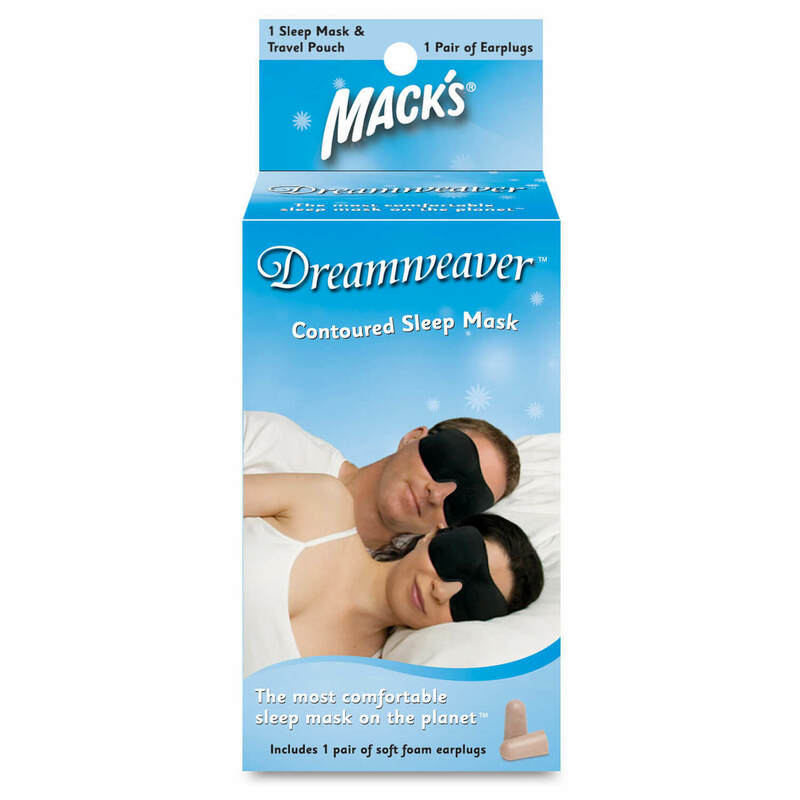 Our Macks Dreamweaver is for you! 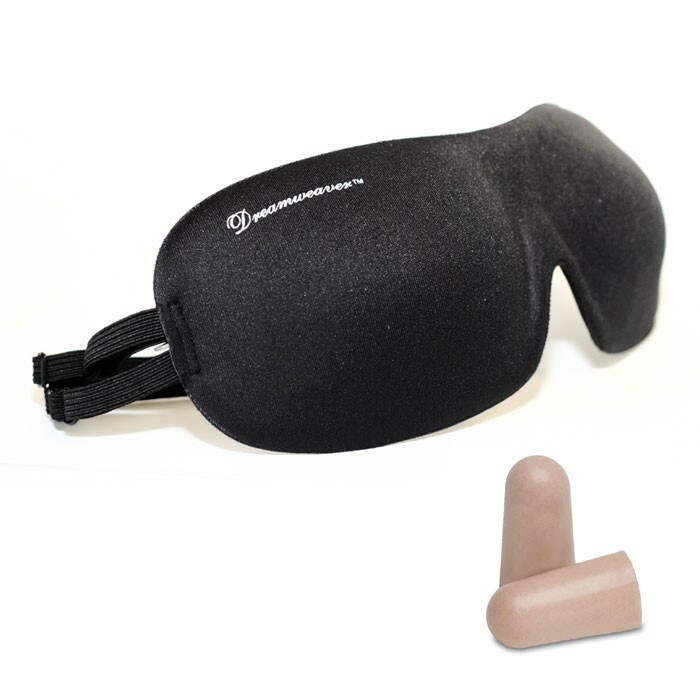 A super light weight sleep mask to block all light to help you achieve a peaceful night sleep or daytime rest. The contoured design allows complete freedom of movement to open and shut the eyes, while keeping the wearer comfortable inside a curtain of darkness. Perfect for travelling in planes, trains, buses or automibiles. 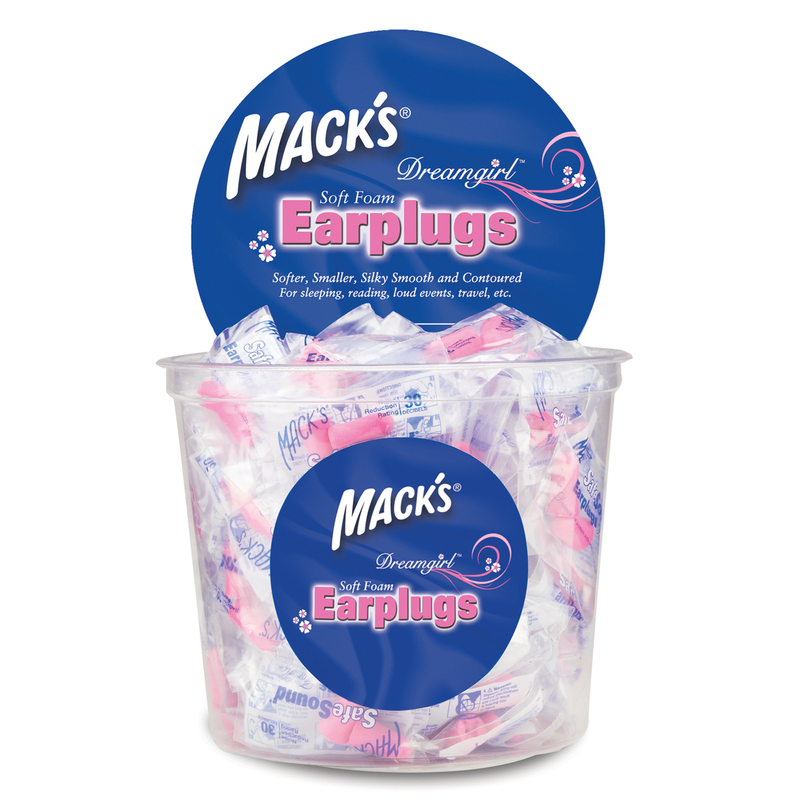 Great for day time sleeping – a shift workers dream! 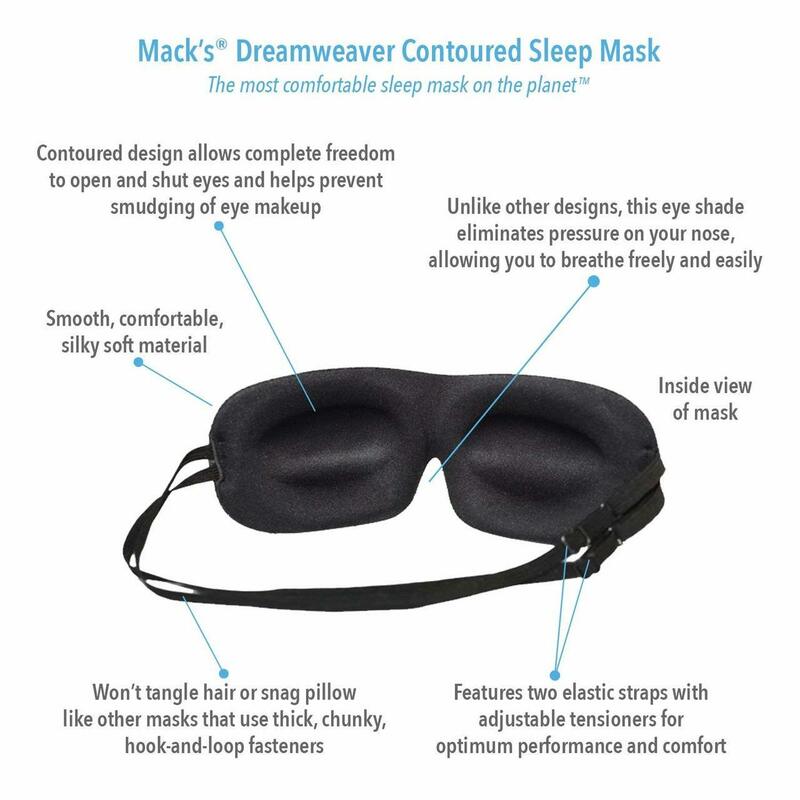 Many of our customers have said that this sleep mask is so light and slim, they hardly notice that they are wearing it. What makes the DREAMWEAVER so popular? The sleek, contoured design allows complete freedom of movement. Whick means that you can easily open and shut the eyes without the uncomfortable feeling of your eyes hitting the inside of the mask. All this while keeping you totally comfortably with complete darkness. Who would benefit from this Eye Mask? TRAVELLING – Perfect for travelling in planes, trains, buses or automobiles. 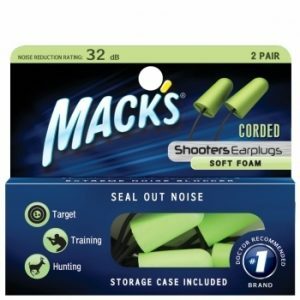 SHIFT WORKERS – Great for day time sleeping – a shift workers dream! STUDENTS – Need a “nanna nap” after being up all night studying? NEW PARENTS – Need to catch a few hours sleep through the day when bubs is down? This is my new favourite sleep mask. It’s super comfortable and great for blocking out the light. Finally I can get some sleep in our new house. This sleepmask cuts out all the light, is comfortable to wear and stays on all night. Works well, arrived in a timely fashion and was reasonably priced.